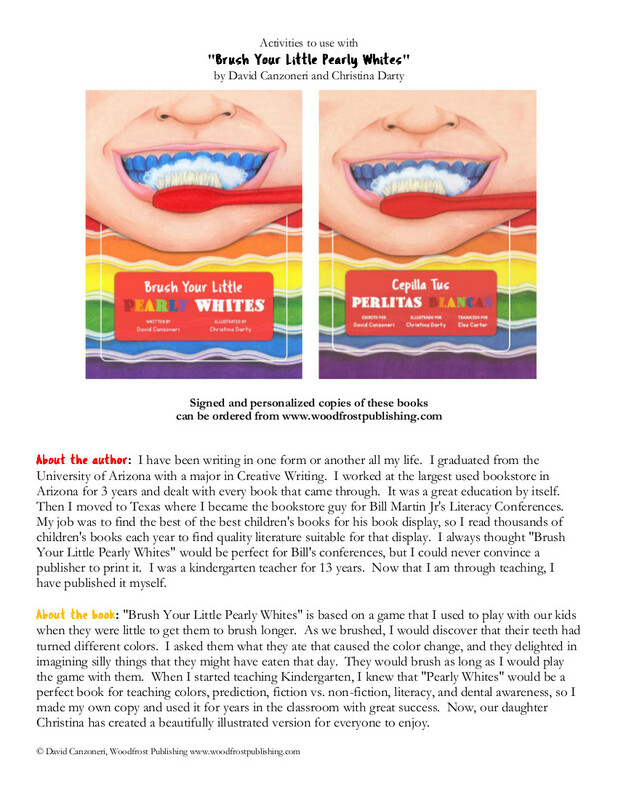 You can download the 13-page lesson plan for Brush Your Little Pearly Whites / Cepilla Tus Perlitas Blancas by clicking on the box below. The lesson plan is free. I hope it will be very useful for your PreK, K, 1st, or 2nd grade classroom. Click on this box to download the Lesson Plan for FREE!